Place the ice-cream in the bowl of an electric mixer and beat on low speed until softened. Add the jam and fold through. Spoon the ice-cream onto half the waffles and sandwich with the remaining waffles. Freeze for 2 hours or until set. Place the chocolate and oil in a small bowl and mix to combine. 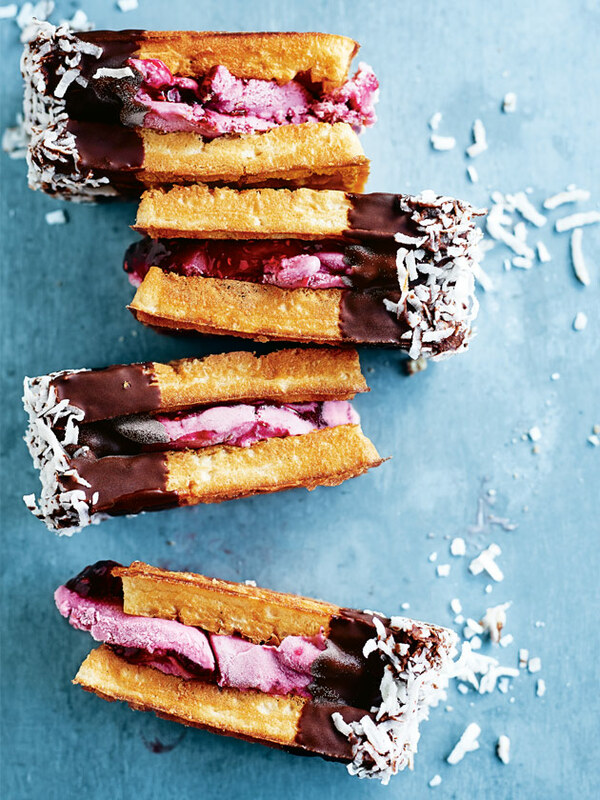 Cut the waffles in half and dip in the chocolate and coconut. Freeze for 30 minutes or until set. Serve. Makes 4.